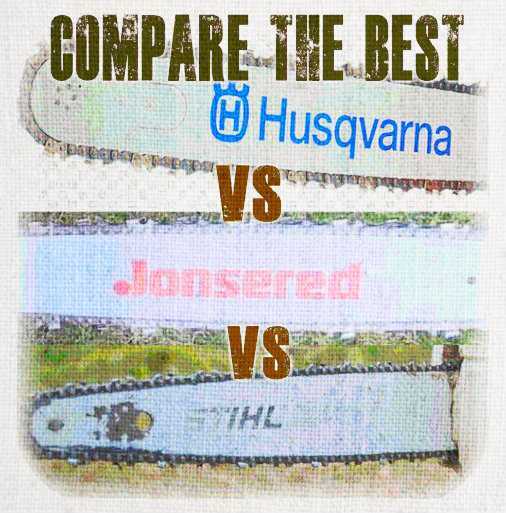 Comparing Jonsered vs Stihl vs Husqvarna chainsaws is pretty much a guaranteed podium finish. All are very well respected in the industry and have proved themselves to be great companies to deal with over the years. They are all responsible for some of the finest saws every made. Jonsered are responsible for the first single man chainsaw, which were the blueprints to every saw in the future. Stihl and Husqvarna are just two of the biggest names in the power tool world. While there are some other pretty respected and reliable chainsaw brands out there, Husqvarna, Stihl and Jonsered are the brands that constantly get recommended from leaders in the field. Matching quality with the appropriate price tag is never an easy thing to do. A higher price tag does not always reflect a better product. Which is why this chainsaw comparison is so important. Weeding out the ‘duds’ and only bringing you the best bang for your buck. But finding out which chainsaw of these 3 brands is the best is mission impossible. This is a very touchy question for the chainsaw enthusiasts, since every group has there own fan base who can be overly vocal about there choice. Just like any tool in any industry, there will always be a war raging between leading brand names. So I wanted to find out who is number one, and try to be as unbiased as possible. 1.2 Stihl, Everyone’s Heard Of Them. But Do They Make The Best Chainsaws? When looking at any company I always find it best to try and learn about the company as much as possible. I find this to be an important step, since learning about a company can tell you a lot about them and their products. For example; if it’s a family run company, they often have a lot more to lose, since it’s there name on the line or where ever there from. Would you trust a snow thrower that was made somewhere that gets no snow? These are such simple things, but you can learn a lot from them in my opinion. 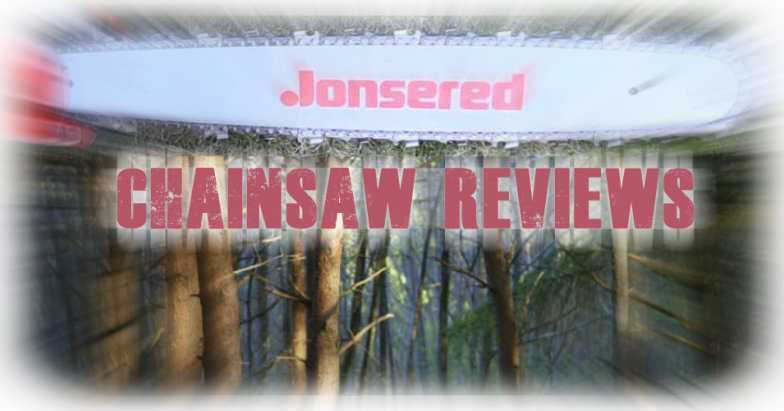 Jonsered has one of the most impressive records in the chainsaw industry. Being based in Sweden which is 75% forest and having a heavy lumberjack history. Means they know a thing or two about chainsaws and cutting down trees. Which is why they are responsible for the first single man chainsaw. As you can imagine, this made the life of lumberjacks at the time much easier. However little did they realize this was the basis for every future chainsaw to come. While Jonsered are responsible for the development of modern chainsaws, they did eventually get bought out by Electrolux who also owned Husqvarna at the time. While they did break away from Electrolux, they are now owned by Husqvarna. So now you have 2 of the best companies working together. While not all of there chainsaws are made By Husqvarna, some of them are. So you can safely put your faith in buying a high quality Jonsered Chainsaw. Stihl, Everyone’s Heard Of Them. But Do They Make The Best Chainsaws? If you every saw a chainsaw growing up, there is a good chance it was a Stihl chainsaw. Stihl have been around since 1926 and were founded in Germany of all places. Since then they have been expanding their brand and making chainsaws their number one brand recognized product. Stihl’s first chainsaw was an electric saw that weighed close to 141 lbs Compared to todays modern chainsaws, this thing was a beast. 141 pounds is pretty darn heavy and it actually required 2 people to operate the thing. Can you imagine Stihl, Husqvarna or Jonsered producing a chainsaw this heavy in 21st century!. While it did help Stihl get a reputation, it wasn’t as successful as one may have hoped because of the Great Depression. It wasn’t until after the war that Stihl really started to take off and succeed. It wasn’t until the 1970s when Stihl started to expand and make other products besides the chainsaw. They expanded by making manufacturing plants in Brazil and the USA from the increased demand. Eventually they did open a manufacturing plant in China, but this wasn’t until 2008. Tho while there was some decline after that, it wasn’t as bad as people expected. While Stihl still continue to make some of the best chainsaws on the market to this day. Just like Jonsered, Husqvarna are also founded in Sweden. So the same thing applies with how much the country relies on chainsaws, with how many trees they have. The company itself has been around for over 300 years, however a lot of this time wasn’t dedicated to chainsaws. Having a company stand the test of time for so many years, does mean that their products were quality enough to please the masses. It wasn’t until 1959 that they started making chainsaws which was a big turning point for the company. Sadly it was short lived and they were bought out by Electrolux in 1978 who were buying up everything at the time. Eventually Husqvarna succeeded enough that they managed to buy back their own company, and take the rights for Jonsered as well, which was in 2006. So while they haven’t been in the chainsaw business as long as the others, they have dominated a fair chunk of the market. 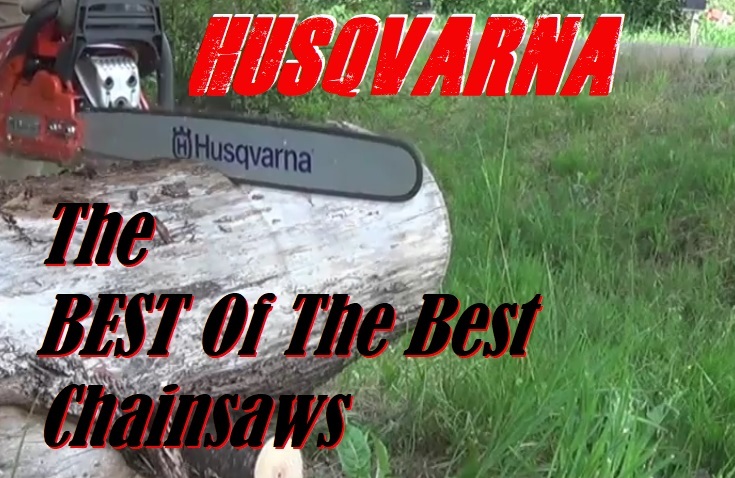 Some of the best Husqvarna Chainsaws are from years ago and still get recommended by the pros to this day. This is one of those questions that is almost impossible to answer. A chainsaw can be very personal to some people. Some folks demand certain needs from a chainsaw that other chainsaws may not be able to offer. Such as an Arborists Chainsaw. So while all three brands have been proven, only one brand may offer the type of chainsaw for their needs. So you will need to weigh up your needs and desires from a chainsaw before you buy from any line of chainsaw. Having a good local service center was what made me go with Husqvarna after my experience at a Stihl dealership was so poor. While I know others who have had good experiences with Jonsered or Stihl, which is what makes this such a difficult question to answer. Since Stihl don’t sell their chainsaws online, I feel they are loosing a big share in the market. People these days want to buy online as it can often be the cheapest route to take. Fortunately Jonsered and Husqvarna are available online which means a lot of people may find a bargain compared to shopping in store. It never hurts to check out in store before proceeding online to compare prices. They all make brilliant saws, and while I have a preference for Husqvarna, and Jonsered second. That doesn’t mean a Stihl is bad by any stretch. This has become less of a problem in this day and age since, the internet gives you access to thousands of reviews at a moments notice. If you want to read some reviews on Husqvarna click here, and Jonsered here.